Motrain is a personalized engagement platform for Moodle™ and Totara™. By creating a unique reward system for each group of learners that can include real items and/or opportunities, our goal is to foster mastery, improve course completion rates, engage learners in a timely manner, and strengthen your organization’s connection with your learners. 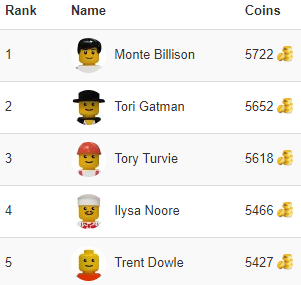 The Motrain block and mobile app are powered by our web-dashboard which allows you to add a completely new type of personalized gamification to your Moodle™ or Totara™ site. 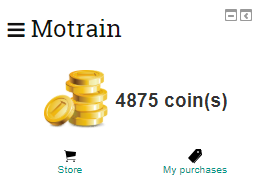 Motrain encourages learners to complete their training in a timely manner by allowing them to earn virtual coins through activity and course completion and/or using events. Learners can spend their coins in your organization’s Store and purchase the items or opportunities listed through your web-dashboard. 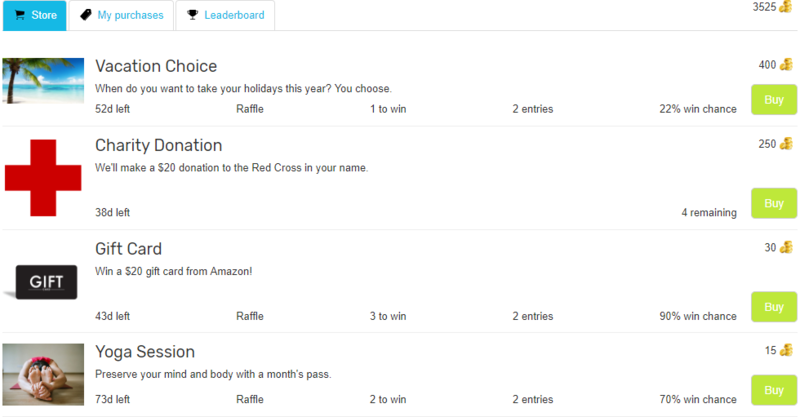 You can offer direct purchasing of items, or you can put coveted or scarce items in a raffle draw where employees can continually purchase entries to improve their chances of winning. Create as many Sections as you wish using cohorts/audiences, each with their own unique Motrain platform. 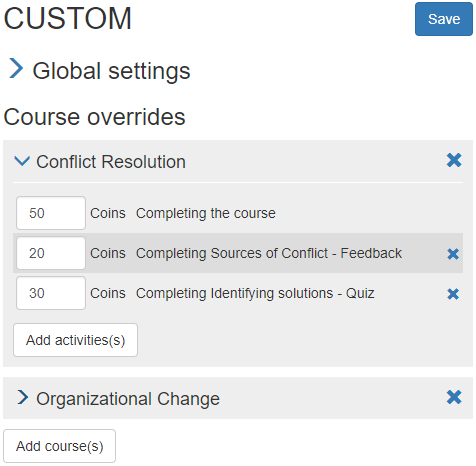 Set the default coin values for each course and activity type on your site when they are marked complete. Then, you can override these values for specific courses and their underlying activities. Looking to spice things up with some friendly competition? Enable User vs. User and/or Section vs. Section leaderboards. Both can be anonymized! With thoughtful instructional design, Motrain can help your learners complete their corporate training in a timely manner, improve course completion rates, and go beyond minimal compliance levels by rewarding mastery. If you’re looking for a way to make personal connections to your e-learners, this is it.